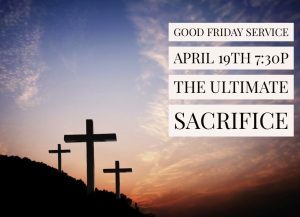 We would love if you and the entire family would join us for our Good Friday Service. We will be lifting up the name of JESUS during one of the most celebrated times on the Christian calendar!!!! So please plan to be with us April 19th 7:30p.